The DeVilbiss Replacement Filter Cartridge are replacement hydrophobic filter cartridges for use with QSU 800ml disposable canisters for the DeVilbiss Vacuaide 7305 P-U. To reduce the number of components and the number of possible points of failure, this filter includes an elbow component built in. 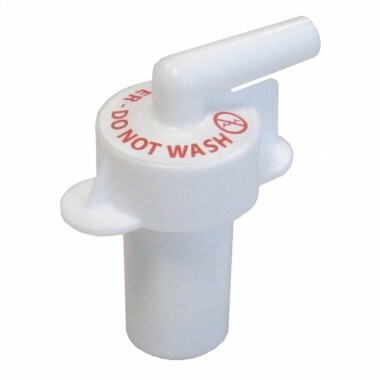 This is ideal for suction machines only used with elbow connectors, helping to improve reliability. This pack includes six filter cartridges; the DeVilbiss Replacement Filter Cartridge (Pack of 12) is also available. No problems from opening account to receiving order by post. Quick efficient service, well done.